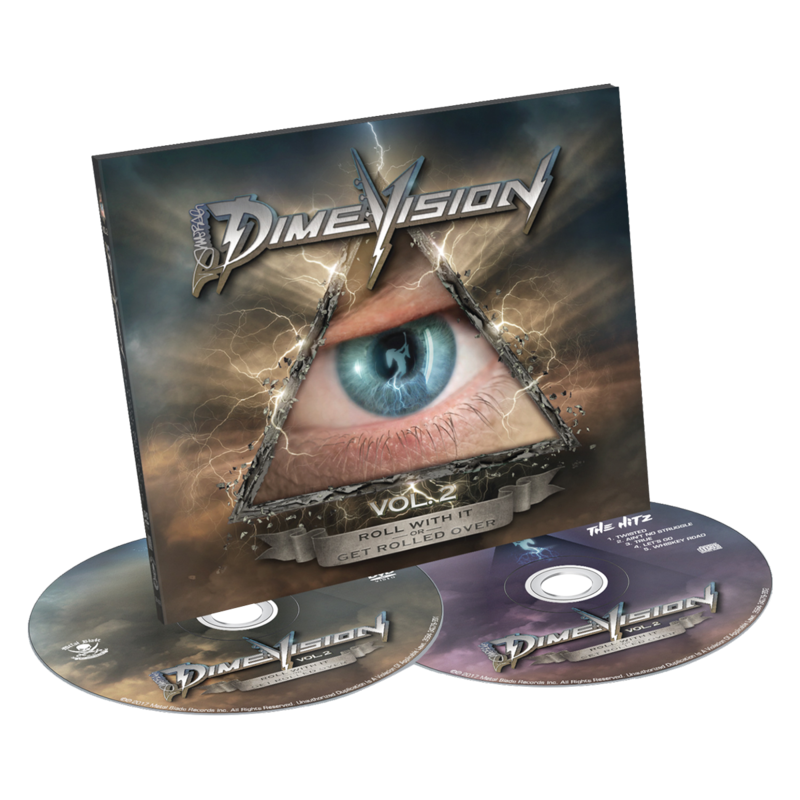 Dimevision Vol 2: Roll With It Or Get Rolled Over is a follow up to the poignant first Dimebag Darrell video memorial set, Dimevision Vol 1: That's The Fun I Have, and is another true celebration of Dimebag and how he lived his life. The DVD/CD set which includes more footage, true gems and classic moments also includes five previously unreleased demos, picked from a vast catalog Dimebag accrued since longtime girlfriend Rita Haney gave him his first 4-track in 1984. Dimebag's personally-written lyrics, dates and notes on those tracks are also included.